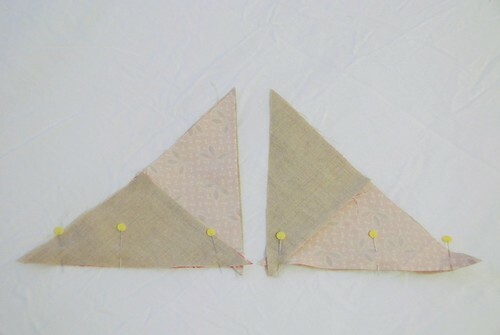 Take 4 of the same triangle pieces (background color should be on the same side of the triangle). Place 2 right sides together and sew along one of the short sides (sewing feature to background) with a 1/4" seam allowance. Press seam to the darker color. 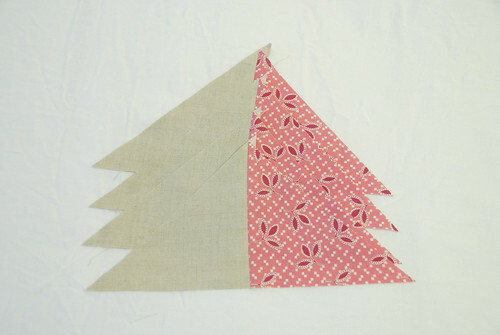 Repeat for the other 2 triangles but stitch up the opposite side (see picture). Now you have 2 larger triangles. 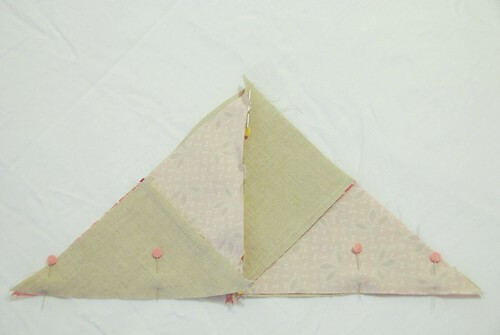 Place them right sides together and sew along the longest edge (hypoteneuse). Since I didn't sew up the previous 2 seams you can still see the pins in the middle. Your seam there should look nice and neat! 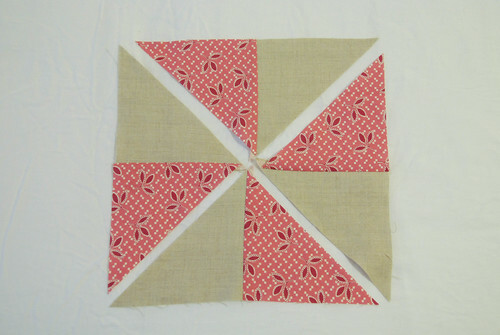 Each pinwheel block will measure 12" square. 1. Ignore it! I checked and other pinwheel quilts that have this issue and they still look awesome. 3. 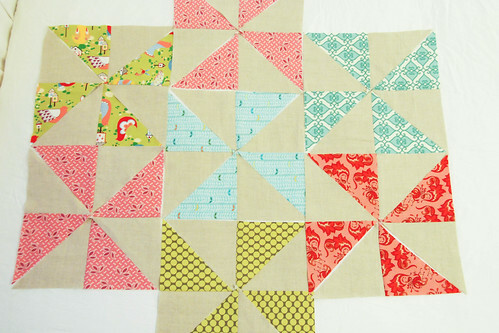 Use half for one quilt, the other half for another quilt! 4. Set one row spinning one direction, the next row spinning the opposite direction.